The Norseman is an excellent flipper and it's also John Grimsmo's first knife design! 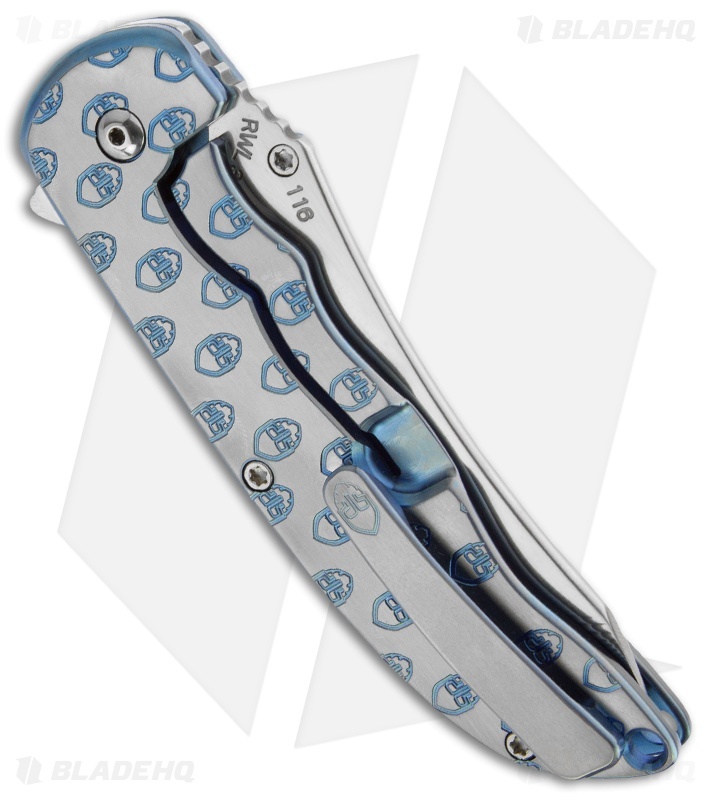 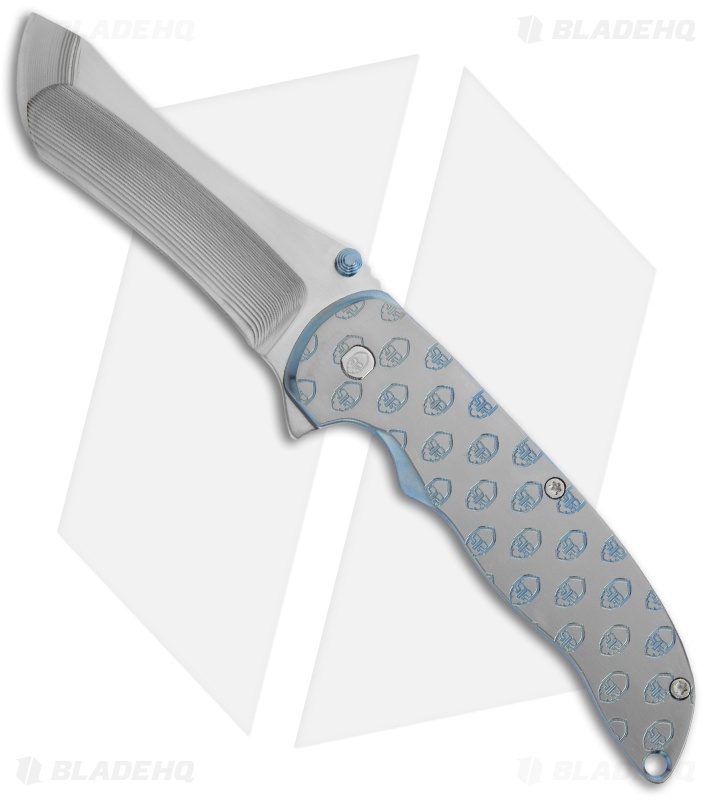 It features a satin titanium framelock handle with a blue anodized engraved logo pattern, the first one with Grimsmo logo! The RWL steel tanto blade has a great look and features CNC machined grinds. 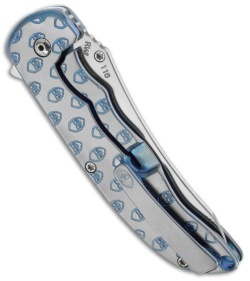 The action on this flipper is superb; nice detent for smooth, effortless deployment with ball bearing pivot.